In stock - low quantity. Order in the next 11 hours, 31 minutes and it will go out today! 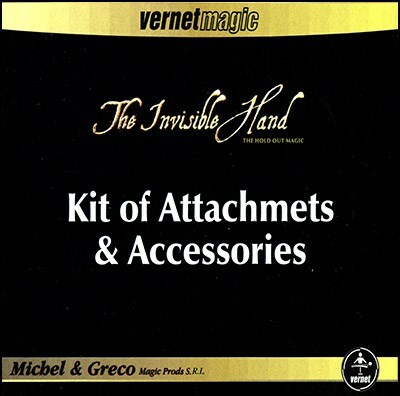 The Invisible Hand gives you thousands of possibilities from amazing miracles. You can vanish, change colors, sizes or shapes of different objects, cut and restore a rope, etc. You can show your hands before and after the effect. It is useful either in Close Up, Parlor or Stage. This Kit expands highly the use of this outstanding device. With this Kit the possibilities are endless with the only limit of your imagination.